Now you can work in two places at once. 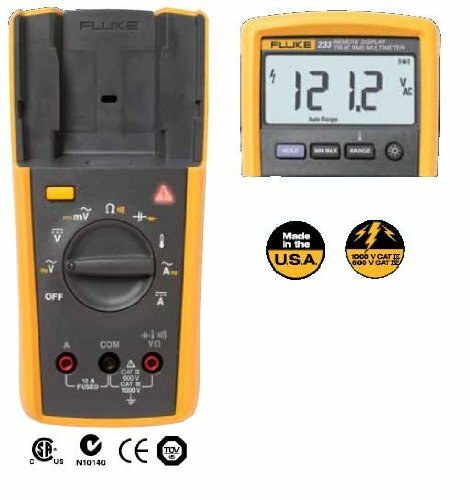 With the new Fluke 233 wireless remote display Multimeter you donâ€tmt need the help of another person when reading the display. Standing on ladders, tangling long Test leads, or calling on a second person while testing are all now a thing of the past. Measure safely while placing the meter in hazardous areas, in clean rooms or near moving machinery. The Fluke 233 is a tool that will make your job easier.